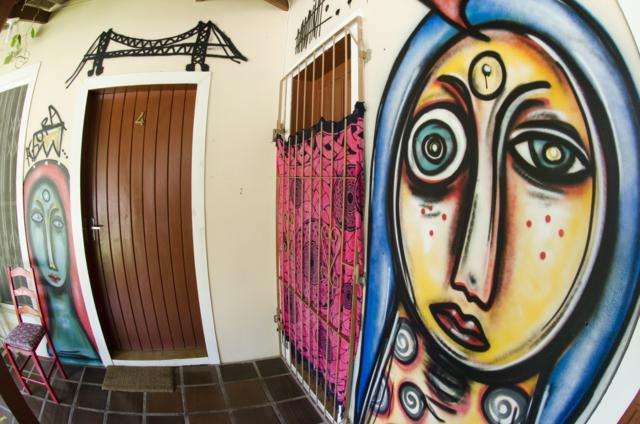 Floripa Surf Hostel is a warm and friendly hostel that welcomes travelers from all over the world. Guests can relax in our common area, watch tv or a dvd, make a brazilian barbecue or even catch up with friends and family over the internet wi-fi. The staff have extensive knowledge about the city and can provide you with all the information you need, so don't be afraid to ask. 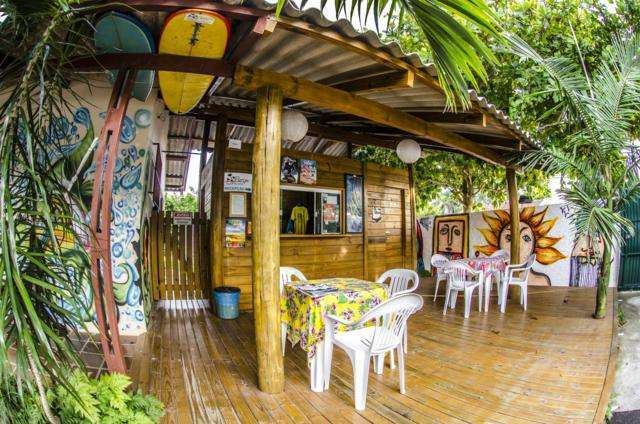 We are located in front of the main surf point, 4 streets south of the major avenue called Pequeno Principe, one street before the Servidão Caminho do Surfistas. 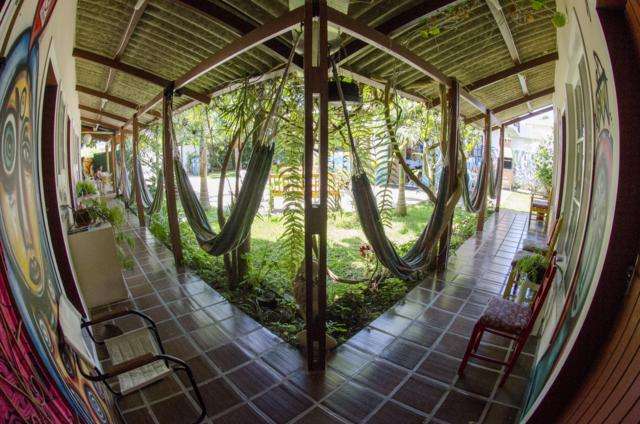 We are located 13 kms from Hercílio Luz Airport,. By taxi it will cost you around BR$ 30-35 depending on the traffic. By bus you must catch a bus (numbers 183 or 186) to Centro Florianópolis Terminal (TICEN) and then get the 410 Rio Tavares Direto (it can be the 420 or 430 as well, but not direct) bus until Rio Tavares Terminal (TIRIO) where now you catch the 462 Campeche bus dropoff at the stop number 11 on the main Avenue Pequeno Príncipe, walk to the beach direction and turn first right, Rua Corticeiras, walk for 400 meters and turn on the 4th street to the left, Servidão Ieda Maria Luz da Costa, we are on the number 190. By taxi: around BR$ 40-45 depending on the traffic. By Bus: walk to Centro Florianópolis Terminal (TICEN) which is located just 200 meters to the right and get the 410 Rio Tavares Direto (it can be the 420 or 430 as well, but not direct) bus until Rio Tavares Terminal (TIRIO) where now you catch the 462 Campeche bus dropoff at the stop number 11 on the main Avenue Pequeno Príncipe, walk to the beach direction and turn first right, Rua Corticeiras, walk for 400 meters and turn on the 4th street to the left, Servidão Ieda Maria Luz da Costa, we are on the number 190. 48 hours cancellation policy prior arrival day, in case you want to change your booking after arrival we have the same 48 cancellation policy. During CARNAVAL and NEW YEARS, the cancellation policy changes to 02 weeks before arrival.